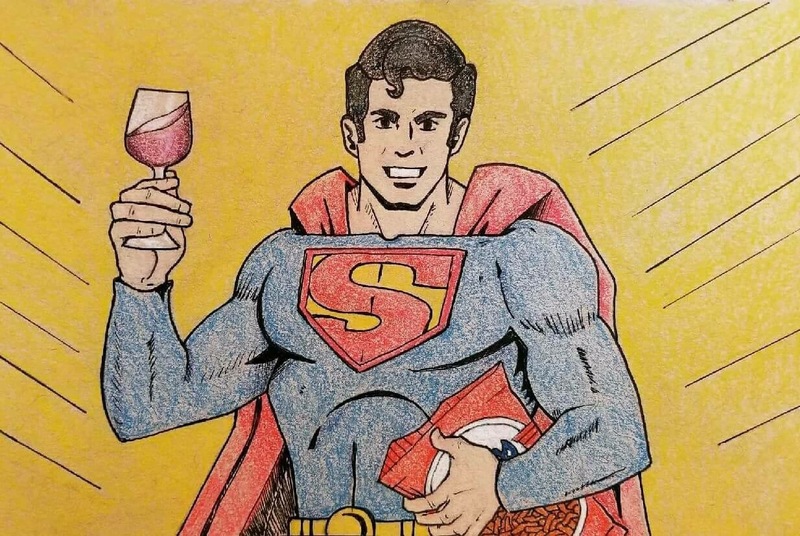 Even Superman loves his Wine With Cheetos! We want to give a huge shout out to a very talented reader and freelance artist, Nestor Sanchez, of Michigan for this awesome rendition of Clark Kent about to enjoy his favorite snack and read our latest articles! Our inner geek salutes you, Nestor!